Raining Roses Productions Raining Roses Productions Inc.
Raining Roses Productions is a custom design house specializing in floral and decor. We can design the wedding of your dreams. Our luxurious style is created with your favorite colors, flowers, songs, and anything else that inspires your love. We create custom decor elements including backdrops, guest signing-boards, centerpieces, dance floor covers, candle-lighting designs and anything else you can dream up. 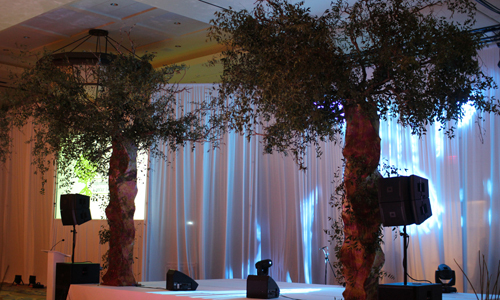 Get your message out loud and clear with custom set design, drape, lighting, stage covering and unique focal elements. Customize your event by injecting your company brand with creative and memorable touches.